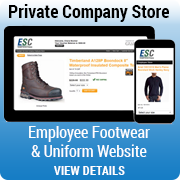 Try on your footwear, clothing or accessories in your home. Returns must arrive in a brand new, unused condition with all tags attached. With our Perfect Fit Guarantee, we pay the cost of shipping both ways for orders above $69.00. If returning or exchanging for a different size, product or style, Complete and submit the return form. For eligible purchases this form will also create your pre-paid return label. Then place a new order for the item you want to purchase. Click here to start a return. We will accept returns on products within 30 days of your original purchase date. Please ship your return within 3 days of submission of the online return form. Refunds will be issued within 10 days from the date we receive your return in a brand new, unused condition. Credits will be applied to the original payment method. Returns and exchanges will not be processed without a "Return Merchandise Authorization" or RMA number. RMA numbers are generated online at the Easy Returns and Exchanges link on our website. Customers unable to generate an RMA online must contact our Customer Service Department to obtain a verbal authorization prior to sending any item to us for return or exchange. Returns or exchanges arriving without an RMA are returned to the sender. If only part of an order is returned and it causes your final purchase amount to fall below $69 your credit will be reduced by $9.95 for shipping. Returned or exchanged items must arrive at our facility in brand new condition with all original packaging and tags attached. Occasionally, customers send back items in a used, dirty condition or without the tags attached. In these instances, we will reduce any available refund by 50% of the item's sale price plus the cost of our pre-paid return label. When items are returned dirty and the customer already received their exchange, the credit or debit card used to make the original purchase will be charged 50% of the sale price of the returned dirty item plus the cost of our prepaid return label. If we have sent you a size or style that you did not order, we will pay for the return freight cost of the boots / shoes and will send you the correct item. We are now providing free ground shipping on all orders of $69 or more in the continental US. Free Shipping does not apply on orders shipping to Alaska, Hawaii, Guam, Virgin Islands or Puerto Rico and will be charged shipping based on the total order weight. We reserve the right to charge extra shipping on large orders going to a PO Box. In support of those serving overseas, no additional fee is charged for APO/FPO addresses for packages weighing under 10 pounds. For large orders above 10 pounds please contact us for shipping expense. We ship to all locations in the Continental US, and we ship to Alaska, Hawaii and all US territories. Most products are shipped from our Conklin, NY location within 1-2 business days (unless otherwise noted) depending on availability and time order was placed. Some products could be shipped from alternate warehouses. If an out of stock situation occurs, we will contact you to see if you want to "backorder" the item and wait for it to become available. You will receive an email confirmation when the item is shipped. Please provide a correct email address with your order. Gearcor.com has partnered with a trusted third-party company, GlobalShopex.com to fulfill orders for our international customers. Simply add any items you wish to purchase in your shopping cart and choose the "International Checkout" option. The items will automatically transfer to the GlobalShopex cart. You may pay with International Credit Cards, PayPal, Bank Wire Transfers or Money Gram. 786-391-4868 will process your payment and guarantee delivery. Once your order is completed, all inquiries should be directed to GlobalShopex at customercare@globalshopex.com or 786-391-4868. Due to manufacturer restrictions the following brands cannot be shipped overseas: Timberland and SmartWool. Providing the name and delivery address to our shipping agents and vendors that ship on our behalf. Transmitting encrypted payment information through our credit card processing company. To comply with applicable law or court order. As we deem necessary to protect the rights, property or safety of Gearcor, Inc., our customers, our associates or others to prevent harm or loss, or in connection with an investigation of unlawful activity. Gearcor does not retain credit card information. We maintain a database of customers who opt-in to receive occasional announcements of new products, sales and services offered by Gearcor via e-mail. This database only contains email addresses. We utilize a third party service provider to facilitate the storage and delivery of this data. Updated as of September 1st, 2015. Gearcor provides online ordering through a secure network using PayPal™ credit card processing. All online transactions with Gearcor are handled with SSL and 2048-bit encryption keys. We do not use open source SSL (OpenSSL). Our checkout page will be titled in the URL address with https, which indicates the page is secure. When you enter your credit card number into the order form, it is transmitted across the Internet in an encrypted (scrambled) form, and securely and confidentially processed through the PayPal™ credit card processing network. Your credit card number is never transmitted by email or any unencrypted format. Gearcor does not retain credit card information in our files. Not paper or electronic. In fact, we never even see your complete credit card number. Gearcor will prosecute fraud to the fullest extent of the law. All transactions and IP addresses are logged. Gearcor collects sales tax on orders as required by each state. Your sales tax will be calculated and displayed on the checkout page.